Perhaps you haven’t heard the term ‘papercraft’ before, well you are in for a treat. 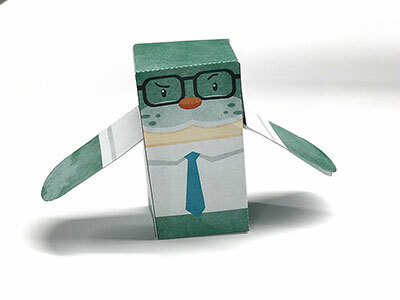 Papercraft is all about making three-dimension models or objects out of paper. Curious yet? This is an activity that you and your children can enjoy in several ways. You can download all of the files for free, look for the links near the bottom of the post. The first option is downloading the black and white version, so that your child can color Seth on their own. The other option is downloading the version that has been colored and textured by Louis the illustrator of The Seal of Approval. Kids enjoy cutting things out, but you may need to do the cutting for younger children or at least supervise as the cutting takes place (there are a few tricky cuts involved). Both options lead to great outcomes. If you don’t have any double-sided tape, I suggest using a glue-stick. Hopefully we’ll offer some more papercraft characters in the future. But until then, please share pictures of you and your kids putting this together with us on our Facebook page, Twitter or Instagram accounts. 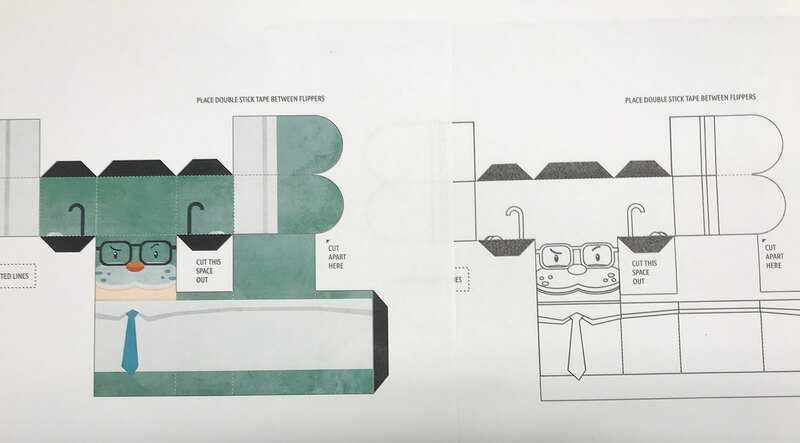 We can’t wait to see how your version turns out, #PapercraftSeth. And if you don’t already have a copy of The Seal of Approval, you can get a copy today as a paperback or electronically for Kindle.